This shop has been compensated by Collective Bias, Inc. and The Coca-Cola Company. All opinions are mine alone. #GoldPeakFightsHunger #CollectiveBias . 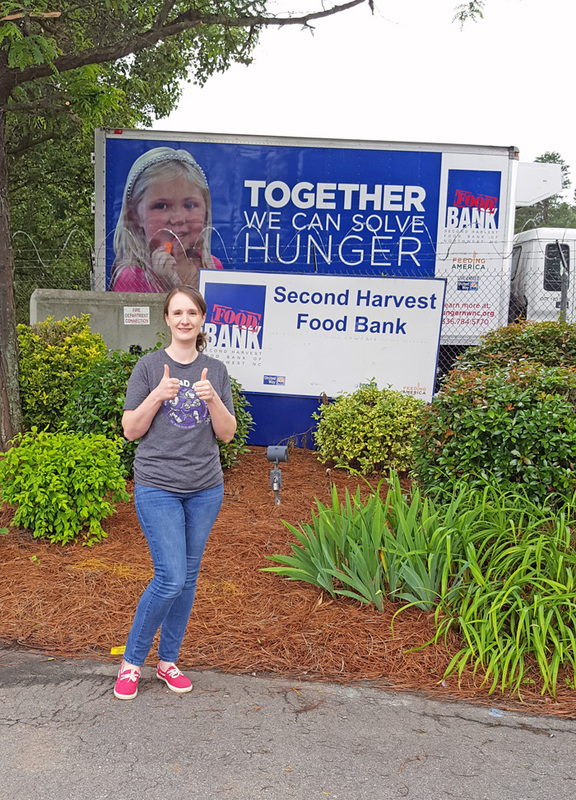 Read on for 5 Things I’ve Learned from Volunteering at a Food Bank. My husband and I plan monthly service projects for our student group. We have volunteered at many places over the past few years, but one place that we have returned time and time again is our local food bank. The food bank is a wonderful place for groups of any size to volunteer. I’ve learned a great deal about food banks in general; some of the facts surprised me. For instance, do you know at what place your state ranks for food insecurity? A 2017 survey revealed that my state ranks as the fifth worst state for food insecurity! I would have never guessed this. Many statistics about local food insecurity startle- and sadden- me. If you’ve never researched food insecurity statistics for your own state, I encourage you to do so. You may be surprised at what you find! I guarantee that, if you do, you’ll find a new place in your heart for your local food bank and the work that they do. 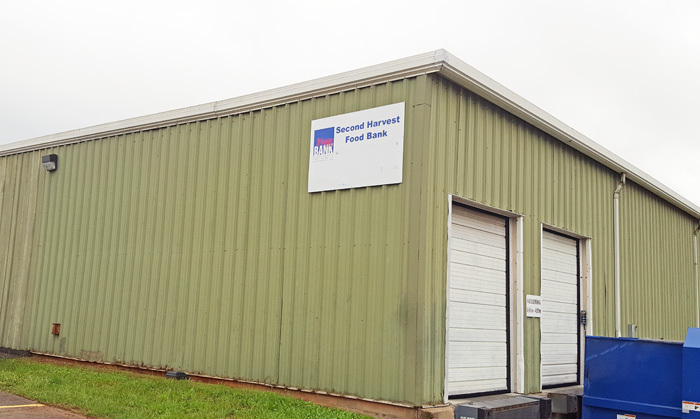 I had preconceived notions about my local food bank prior to volunteering. 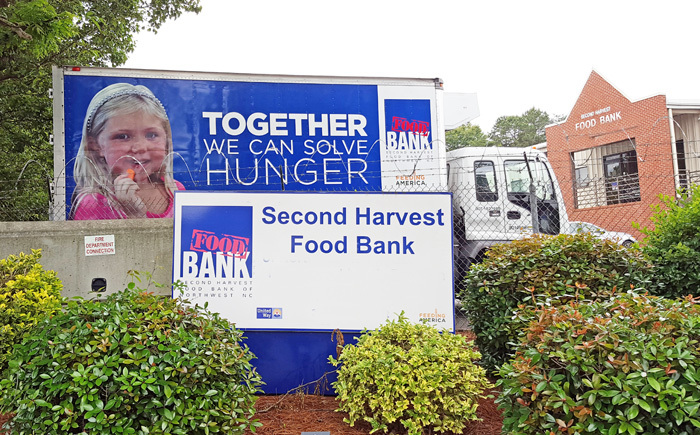 After taking our group there are few times, I started sharing things that I had learned about the food bank with others. 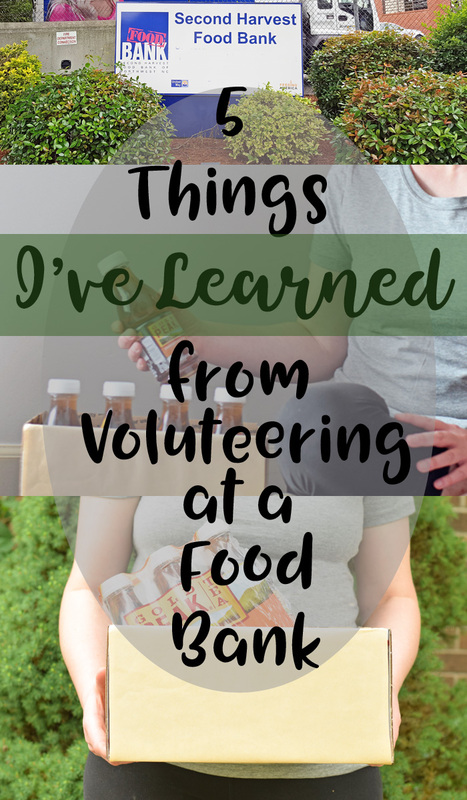 Here are 5 Things that I’ve Learned from Volunteering at a Food Bank. 1- Donation food is excellent, but monetary donations are great, too! Food banks can supply several meals for just $1! Our local food bank states that they can supply 7 meals for $1. That is definitely a lot more than I could provide for $1. While I donate canned goods and other healthy foods during collection periods, the food bank can stretch my dollar farther than I am able. 2- Food banks get support from not only the community, but they can get support from brand companies, too. For instance, Gold Peak® is currently partnering with Feeding America to help fight hunger. For every person who texts “GIVE” to 26739, Gold Peak will donate a $1 to Feeding America. Each $1 = 10 meals to people in need! While this is a general donation, Gold Peak is selecting 10 food banks to receive a $1,000 donation. Until 6/30/18, the 10 food banks who receive the most support will receive the donation. Head here to enter your local bank into the running. 4- Food banks are there to not only feed families in need, but also to help families consume healthy meals. When donating food, I donate canned vegetables, proteins, unsweetened beverages and not junk food or sweets. For families in need, it’s important for them to receive a boxed well-balanced meal. 5- Donating is important, but volunteering is, too! Food banks rely on volunteers for everything from unwrapping pallets, stocking shelves, assisting with special events, and more. I am on an email list for our local food bank. Each quarter, I receive an email with their volunteer needs and how our group can help. Click here to find your local bank to support. Check out their website to find the email for their volunteer coordinator. They will be delighted to have you on their volunteer list! 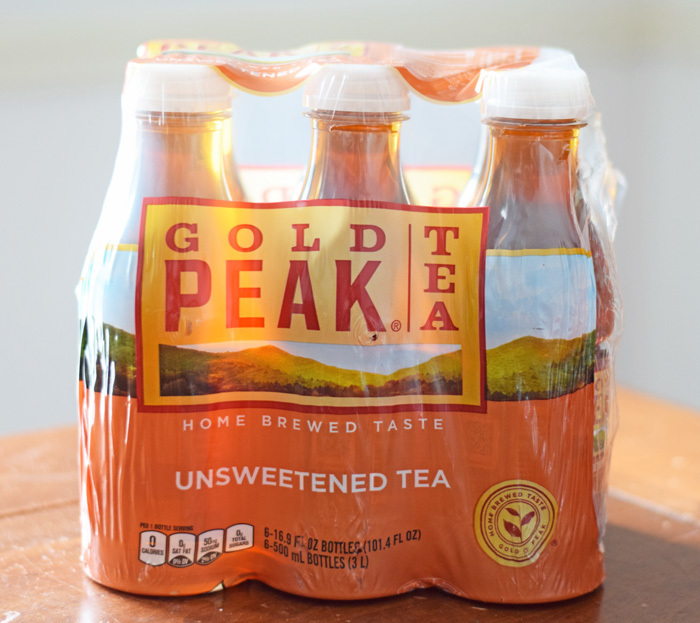 Find Gold Peak Tea at your local Target retailer. 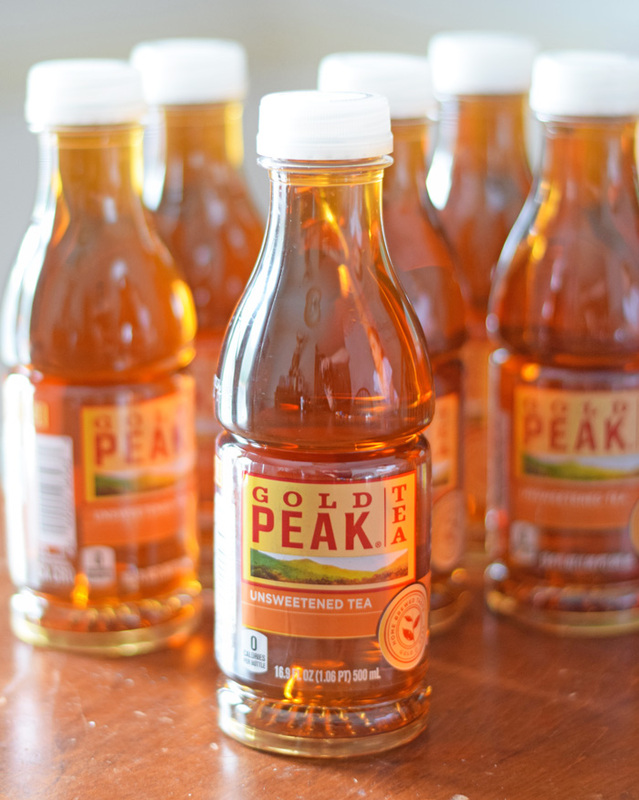 Find out more about Feeding America here and Gold Peak Tea’s support of food banks here. I sometimes forget that I can donate money to my local food banks. I usually concentrate on the food. Thanks for the reminder! We work and donate our time to the local food bank. Really helped my kids see the need in the community and not to judge. I love how they’re giving back to the community. Volunteering at a food bank is a wonderful way to give back. I love to donate my time and I know I learned so much every time I do. This summer I intend on getting my kiddos involved and doing a food bank! I know that they will learn so much about others and compassion! I need to volunteer at the food bank sometime. We have one not too far away. I have donated to them before! Having trouble leaving a comment, so trying again. Kudos to you for thinking of others. Compassion is a beautiful thing! The statistics on how many people are going hungry are saddening. We did visit a food bank one county over from us a couple of years back and it was very impressive. I also recently worked with our local food bank and it was so meaningful! Most people do not realize how many hungry people are all around us. Thank you for volunteering! The company I work for has food banks as clients in order to help solicit donations from their donor database. I really like help out the non-profits. Donating is really a great way to share our blessing to other people. Its a simple act that can be a good way to influence others too. Also this makes us learn more about life and appreciate our lives as well. I am so glad to hear that food banks also help families eat healthy food. This is really great as they go beyond to help people stay healthy. It is wonderful that brands also support food banks, thanks for sharing what you learned. We donate canned goods to Food Banks thru our school and church. It’s one of their biggest programs that community participates to. I love the fact that food banks also encourage healthy eating. I think this is a small gesture that can go a long way for many families who are in need. My kids and I volunteer at our local food bank a couple of times each year. It’s something they look forward to doing and they can see firsthand that there is a need. We love supporting and giving back to our local community. By doing so not only does it provide hope, but as well as a positive feedback in the community to start doing the same. It is great to know they also encourage healthy habits. I totally want to do this one day. I just can’t ever get the timing lined up right so far! Wow what an amazing and selfless experience. It is crazy how many people in this country are going hungry! I love knowing people are willing to Volunteer and help out because without these places people would suffer and not be able to eat. Now that we are Homeschooling I will be checking into the ages to see if my son and I can help our as it would count as one of his classes while teaching him to give back to others. Our church has food pantry & also a clothes pantry. I have volunteered there several ti es. Everyone receives s box with food & personal items. We also have a truck that comes once a month for pets. The church receives food from local stores & in the summer we have a garden to supply fresh vegetables.